Check Out My Work Contact Me Today! High-quality, custom creations utilizing intelligence, commitment, and attention to detail. Designs that have garnered recognition and praise from people all over the world. Unique outfits that have been recognized for their excellence and craftsmanship. Makeup applications to give a finishing touch to many characters. Contact me today to get an outfit design especially for you! I put pen to paper to help turn those simple ideas into visually beautiful designs and outfits. I have the experience altering existing patterns or creating them from scratch, ensuring that each outfit fits perfectly. Further define your favorite character with a wide range of makeup styles and artistic techniques. I ensure that each outfit can withstand the burden of normal wear so that you can use them again and again. I have the know-how to create props and other pieces of attire, using the popular EVA foam and other materials. The positive reviews keep rolling in. See what everyone has to say about my work. I always aim to create high-quality and beautiful designs that will stand up to the stresses of normal use. I want to create outfits with a strong artistic direction that can be worn over and over again. Don't just take my word for it; head over to my Portfolio check out my work for yourself! 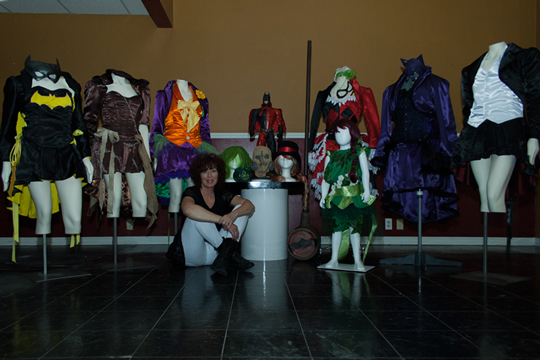 Get in touch with me today to get your own custom costume! Whether you want a costume of your favorite character or are looking for something unique, get ahold of me so that we can begin working towards your new outfit. LadyDragon Creations is Lisa Anderson-Kleckner, a professional beautician and makeup artist. 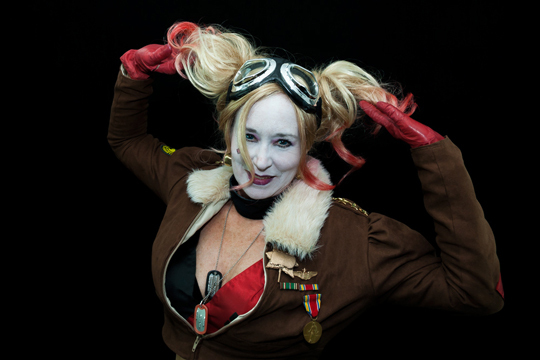 Lisa began cosplaying in March of 2014, and she has never looked back. Her role as a stylist, along with her life-long love of the arts, has given her a keen awareness of fashion and styles. In just over a year's time, she has created dozens of outfits for herself and for others. She has been featured in articles both printed and online. She has become a staple of the Indiana convention scene. Lisa continues to grow her skills, trying out new mediums and styles to further perfect her craft. Sign up for my newsletter to keep up to date with the latest news and happenings! "Always so kind and helpful to everyone, has an amazing talent and some of the best craftsmanship I have ever seen. ♡ "
"You sew, you paint, you make epic foam armor...what CAN'T you do!? You made finger-less gloves for my Thorin Oakenshield outfit and made the armor breastplates for my Valkyrie outfit; in addition to helping me form and paint other armor (for Val). I couldn't be more pleased with how it has all turned out; thank you!! Professional, friendly, timely, the whole package. I plan on working with you frequently!" "She made several parts of my Darth Maul cosplay. Every attention to detail was made, communication was amazing, the end product is perfect... Couldn't be happier!" "This woman, she's basically awesome incarnated. Anything she touches is perfection!"